Others: A. argyii and A. lavandulaefolia have been found growing in China and used by them in the same way as other wormwood species are used elsewhere. They contains thujone, a narcotic poison that can damage the nervous system and cause mental deterioration. The levels vary considerably among the different species, however, and usually very high doses over a period of years are required before any effects are noted. Avoid during pregnancy as it is a uterine stimulant and may cause fetal abnormalities. Avoid during breastfeeding as thujone can be passed to the baby. If using tinctures for liver or digestive complaints, use the hot-water method to reduce the alcohol content. Those with bleeding problems should also avoid the herb as large doses can be toxic. Southernwood is native to southern Europe. Yin chen hao is native to Southeast Asia, and has been used for thousands of years. Levant is native to the region stretching from the eastern Mediterranean to Siberia. Tarragon is native to Russia, western Asia, and the Himalayas; but now cultivated worldwide as a culinary herb. Qing hao grows in grasslands and open areas of Vietnam, Japan, China, Russia, and Korea, and widely naturalized in the US. The flowering tops and leaves should be harvested while flowering in mid to late summer. Wormwoods grow from sea level to 11,000 feet over much of the world. The usable plants are distinctly hairy and have a fresh, strong, pleasant scent when crushed. The flowers are small ball-like clusters, often yellow in colour. The plant can vary from eight inches to three feet in height in some California mugwort specie,s or even taller for some big sagebrush species. Generally, wormwoods are perennial shrubby trees, growing to ten or fifteen feet, with the leaf structure basically similar in all species and having a green to silvery-green colour to their downy, feathery leaves. Mugwort has numerous clusters of small reddish or yellow flower heads. Southernwood has yellow flowers. Wormwood is the most bitter herb after rue, while Southernwood is the sweetest. Many Artemisia species are known as "estafiate". All are little gray-green herbs no taller than a foot or so. A. mexicana is sometimes called long-leaf "estafiate" because of its slender, lance-shaped leaves. A. ludovicana has scalloped-edged leaves like a dandelion. Silver Sage (A. frigida) has feathery leaves, while A. absinthium, whose leaves are also feathery, is known by two names: "estafiate" and "ajeno". Many of the wormwoods have distinctly different actions when used medicinally. The botanical classification of this genus, of some 200 species, was derived from Artemisia, the sister and wife of the Greek/Persian King Mausolus, and ruled after his death in 353 BCE. Artemisia was a noted botanist and medical researcher, and to honour her husband/brother, she built a magnificent tomb called the Mausoleum, which was one of the seven wonders of the ancient world. Artemesia is a Latin term for "mugwort." The Louisiana name refers to the vast Louisiana Territory rather than the state. In the ancient Greek text of Dioscorides, wormwood is mentioned as a remedy for expelling intestinal worms, and thus its name. Native American tribes used the wormwoods extensively for medicinal purposes, for treating all manner of illnesses and for cleansing the body in purification rites. The Lakotas used the wild sages extensively, and had names for seven different species as well as two names for the white sage. The Lakota men used the white sage and the women used the dwarf sagebrush for protection against evil influences. The Chinese still use a leaf of wormwood rolled up into the nostril to stop nosebleeds. Mugwort is less aromatic and attractive but still considered “magical” in Europe, Asia, and China and was considered the “mother of herbs”. It was listed by the Anglo-Saxons as one of the “nine sacred herbs” given to the world by the god Woden. It was planted along the roadsides by the Romans, who would put sprigs in their sandals to prevent aching feet on long journeys. Big Sagebrush was widely used by numerous tribes in the West to treat colds and such gastrointestinal complaints as diarrhea. It also had other uses, including as a seasoning and a fiber to make thatch, linings for shoes, and the weaving of the bark into clothing, in addition to using it for medicinal purposes. Since it tastes like licorice, it was once used to flavour liqueurs, such as vermouth, as well as for bitter digestive remedies. The addictive thujone is what gave the drink absinthe its notorious reputation. The great painter Vincent Van Gogh was reportedly to have been an habitual user of absinthe, which contains thujone, a volatile oil noted for its narcotic effect responsible for hallucinations, psychosis, and brain damage — a syndrome labelled "absinthism". It is thought that the heavy yellow in his paintings may have been as a result from thujone-caused brain damage. In Mexican neighbourhoods, species of Artemisia are called by names dependant on the area of origin. Throughout Mexico, there are a number of plants referred to as "ajenjo", "artemisia", or "estafiate" and used interchangeably, both in name and medicinally. It also leads to much confusion as to which one is the "true" one. It was originally brought to Mexico by the Spanish but now considered to be a weed. According to Aztec religious-medical practice, Mugwort belonged to the realm of the god of water and rain (Tláloc) and was used to remedy illnesses that were considered to be caused by the gods of this realm, that is, illnesses that caused too much water to accumulate in the body. Therefore, they were both caused and cured by the same gods. The Aztec Herbal of 1552 listed several remedies using the herb, including one for those who had been struck by lightning. In addition, during celebrations honouring the water god, children were fanned by the herb to protect them from intestinal parasites. Today, infusions of the herb is still used to treat intestinal worms. It is active against malaria, Staphylococcus aureus, Naegleria floweri, Pseudomonas aeruginosa, Candida albicans, Klebsiella pneumoniae, intestinal worms, and amebic organisms. The essential oil is effective against most microbes. Extensive Chinese studies of Qing hao revealed that it has antibiotic effects against many fungal skin conditions and leptospirosis (Weil’s disease). It was also effective against the malaria parasite Plasmodium. An isolated compound called artemisinin, extracted from the leaves, has also shown to be 90% effective as an antimalarial as the standard drug, chloroquine, and has been particularly helpful in treating drug-resistant strains of malaria. Qing hao was first mentioned in a Chinese text of 168 BCE. Water infusions of the leaf have produced an 89% inhibition of malaria in a 1:35 ratio. Artemesinin, a compound found in wormwood, has been processed into a specific drug called artemether, an effective treatment that ranks equally with quinine in treating both resistant and nonresistant strains of malaria. Trials in Gambia and Vietnam have shown similar results. However, there were some unpleasant side effects from artemether, as is often the case with pharmaceuticals where only one compound is isolated and used. Taiwanese researchers have found that the whole herb is as effective, with fewer side effects, than the isolated componenet. Furthermore, extracts of Artemisia annua that contained no artemesinin were just as effective an antimalarial, although it took twice the dosage. Recent research indicates big sagebrush also has antifungal activity, making it useful for athlete's foot and other related fungal infections. Although many wormwoods are called mugwort and sage, they are not related to the sage family and cannot be used interchangeably. In fact, true sages decrease secretions in the body and can be effectively used for decreasing mucous production, lactation, sweating, and menstruation. The Wormwood species, however, stimulate some secretions in the body and increase sweating and menstruation. A rounded teaspoon of the dried plant in a cup of hot water that has steeped for fifteen minutes is useful in promoting sweating during feverish states or to increase scanty menstrual flow. It is also used as a smudging agent for sweat lodges or saunas. When the plant is placed on the hot stones, the vapour is inhaled to stimulate sweating. It is also a good remedy for stomach indigestion or, as its name suggests, to get rid of intestinal worms. It is suggested that two cups of tea per day for a period of at least two weeks is a typical remedy for worms, but the use must be consistent during this time. Russians have reportedly used it as an abortifacient or for bladder stones, as well as for depression and neuroses. Wormwood is used by Hispanics to expel worms, as an anti-inflammatory, and to treat arthritis, gout, and late menstrual periods. In Central America, it is used to treat rheumatism and neuralgia, and for healing and toning the liver. In modern times, it is used to treat dysmenorrhea, colic, diarrhea, constipation, and cramps. 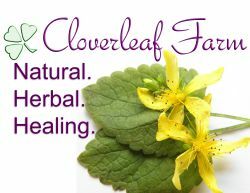 The leaves are not only used medicinally but as food or powdered to make a moth repellent in gardens. The plants can be grown near fruit trees and vegetable gardens to deter harmful pests. Southernwood is strongly aromatic and cultivated for the perfume industry and used medicinally only to a lesser extent. Infusions are used to treat sluggish digestion, poor appetite, and gastritis. They are also used to treat jaundice, hepatitis, fever, asthma, cough, kidney stones, stomach gas, menstrual cramps and menopausal complaints, intestinal parasites, sprains and bruises, arthritis, and hemorrhoids. Washes from infusions to be used externally for such parasitic infestations as scabies. Compresses from infusions to soothe bruises and bites. In addition, it can be used full-strength as a household disinfectant, while weaker solutions can be used on household plants for an effective insecticide. Homeopathic tinctures are used to treat menstrual irregularities or prolonged bleeding, as a liver stimulant or for sluggish digestion, and in childbirth, used for prolonged labour and retained placenta. Although the root is rarely used for medicine, it is extremely powerful, especially for hot, sore infections of the throat and lungs. It numbs the associated pain and is exceptionally cooling to the lungs and throat. It is also highly antibacterial and a good topical treatment. Some herbalists fear the thujone content, but it is still one of the most powerful herbs for the treatment of antibiotic-resistant diseases. The problem usually stems from researchers who insist on isolating compounds within an herb, then condemning the whole plant rather than viewing it as nature intended. A whole plant contains compounds that work synergistically with each other to offset any potential dangers that one isolated compound may have.